If You are a Guesthouse/Hostel/Hotel and Want to Advertise on Facebook – READ THIS! In this article I want to talk about what you’ll need to know before you promote a guest house (or any type of accommodation on Facebook). So let’s get straight into it. If you are a guest house you want to ensure people like your page – and there is a reason for this. Unlike in the past where if you were to get someone’s details you could put them on a mailing list and perhaps remind them to come back later – with a Facebook page – having a like means having access to EVERY FRIEND THAT YOUR ‘FAN’ HAS ON FACEBOOK. The reason I bring this up is the Relevance score that I obtained from my latest campaign using this technique. Now keep in mind the higher your relevance score the more people are engaging with your ad – which is a win-win for Facebook and yourself – Facebook gets ads that are engaging and provide a good user experience and you get to have low click through rates (or whatever your objective is). Facebook can also better justify their results. In my most recent campaign I promoted to Friends of Fans – seeing as I had access to a Facebook page of 50K users this was a HUGE market. What’s great is that when your post is promoted the person being promoted to will see that one of their friends likes the page that is promoting (make sure you promote from the Facebook page that has the ‘friends of fans’ audience). Anyway in the end I got a Relevance Score of 9 – which is the second highest relevance score you could get. As someone who used to run a video production business I was all about selling big video packages – and while it can be beneficial to spend a good budget to showcase your product in the best way – when it comes to a guesthouse or smaller accommodation a big video crew is most likely going to be outside of your budget. As you can see it’s quite simple and I used a bunch of photos that the client had on file – Animoto has templates that you can use (in fact they have a real estate template which I used) – and all you need to do is take out the photos and place in your ones and play around with the copy. The subscription for the month is only $41 – which is a bargain if you can get a good video out of it. Once you make your video you can download it and never use it again since you’re not locked into a contract. Facebook is a big gold mine of data. They track everything – while I don’t think they deserve all the big oversight that’s come down on them recently – I can also understand how people can be concerned with how much data Facebook collects on you. 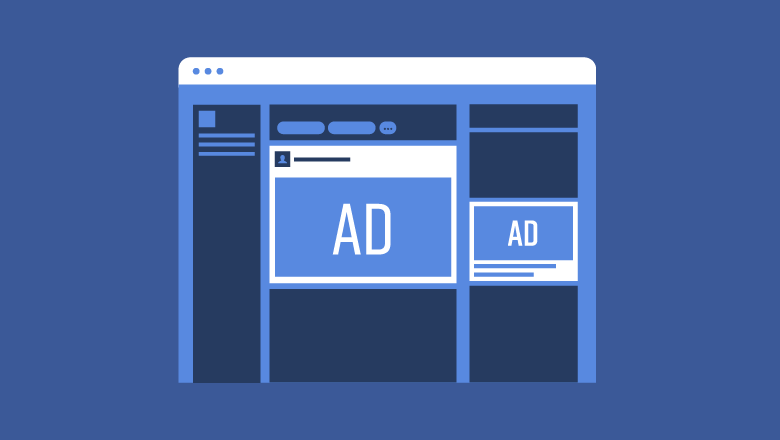 And to be clear – Facebook collects a LOT of data on user’s interactions not just with Facebook – but also with your ad campaign – and all of this data can be used to fine tune your ads and get the optimal cost per conversion (and keep cost per clicks etc. low). The Facebook pixel is a no brainer – especially if you are getting quite a bit of traffic coming through your website – you can retarget everyone who visited your site as a specific audience. But it’s more than that – you should hope that your booking system integrates with the Facebook Pixel – in the case of my project the client had a booking system setup with Checkfront – which allows for Facebook Pixel integration. However it’s not just integrating your booking system with the Facebook pixel (that’s the easy part – in most cases you just have to find the Facebook integration option and paste in your Facebook Pixel in there) – you can find out how to create your facebook pixel by clicking here. Let me give you an example. In the case of my guesthouse client – any time that someone even clicked on the booking widget to check the rate of the rooms – the booking system would fire off a custom event to Facebook – called ‘ViewContent’ (not to be confused with ‘PageView’). At first I wasn’t sure what this ‘ViewContent’ meant however once I found out it became easy to see how much we needed to pay to get someone to engage with our ads – we were able to see the difference between someone just clicking on our ad and viewing our landing page – and actually engaging with the booking widget and checking prices – we could also see events such as ‘add to cart’ and ‘initiate checkout’ so we could see the cost per result for each of these actions from all the campaigns. One cool tip – once you install the Facebook Pixel on your booking app – test creating a booking and watch which events the Facebook Pixel fires off. One cool way to approach a campaign – once you’ve got a decent audience of (hopefully) friends of fans – is to split test genders. From my experience I’ve found men and women engage differently with ads – men tend to view a page and then if they want to book they will fill in the details and make a checkout. With women on the other hand they will engage more with the booking app – checking prices and whatnot and availability – before making the booking. Try and split test genders to see how the results turn out. Remarketing is the name of the game with Facebook. While a big part that is pushed by Facebook is access to its demographic audience and the ability to target users based on interest – you should have a strategy where you are remarketing to engaged audiences. After launching the video ad for the Guesthouse I was able to see how many people engaged with the ad by 3 second blocks as well as 10 second blocks. Facebook was giving me so much data – and an easy way to re-market. The way customer behaviour is – nobody is going to see an ad for accommodation and immediately book (Facebook has attribution for a set number of days – so if someone clicks your ad and makes a purchase 10 days later the result is still attributed to the campaign – as long as they’re still logged into Facebook). You should see any campaign that did not achieve what you were after as the cost of building an audience – so let’s say you launch a video ad and get few clicks but a large number of people watched the ad longer than 10 seconds – you could then retarget this audience of people who watched your ad longer than 10 seconds. It’s a great way to build audiences. Not to mention the traffic that comes through your website from other source (AdWords, organic traffic). If someone has engaged your ad you should make the effort to follow up with them online and move the person through the sales funnel. Facebook’s massive data points allow you to create cool audiences of everything so take advantage of it. http://headstudios.com.au/wp-content/uploads/2018/08/hs_logo.png 0 0 KostaKondratenko http://headstudios.com.au/wp-content/uploads/2018/08/hs_logo.png KostaKondratenko2018-09-30 10:22:072018-09-30 10:47:00If You are a Guesthouse/Hostel/Hotel and Want to Advertise on Facebook - READ THIS!